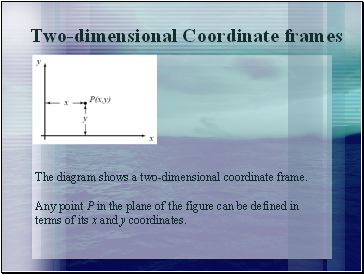 The diagram shows a two-dimensional coordinate frame. 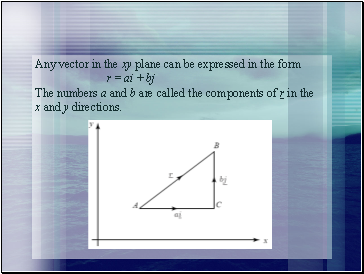 Any point P in the plane of the figure can be defined in terms of its x and y coordinates. 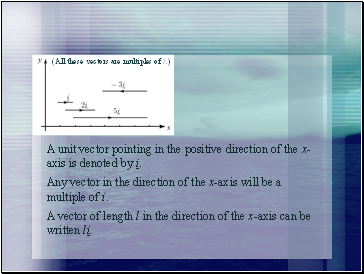 A unit vector pointing in the positive direction of the x-axis is denoted by i. 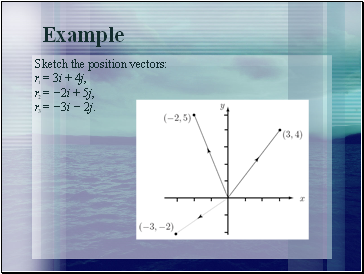 Any vector in the direction of the x-axis will be a multiple of i. A vector of length l in the direction of the x-axis can be written li. 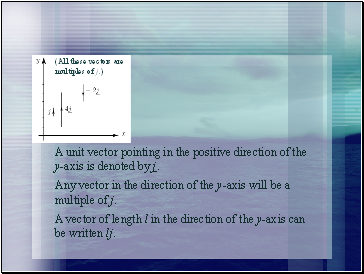 A unit vector pointing in the positive direction of the y-axis is denoted by j. 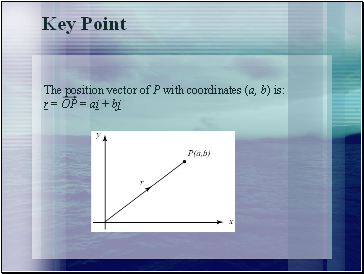 Any vector in the direction of the y-axis will be a multiple of j. A vector of length l in the direction of the y-axis can be written lj. 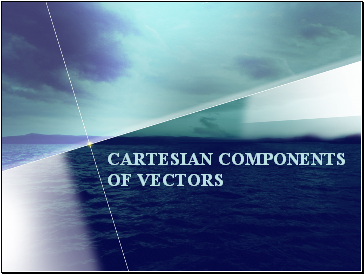 i represents a unit vector in the direction of the positive x-axis. 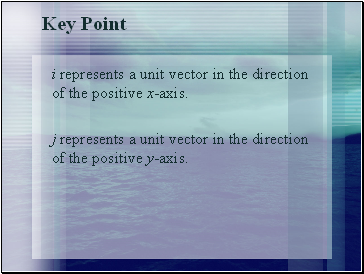 j represents a unit vector in the direction of the positive y-axis. Draw the vectors 5i and 4j. 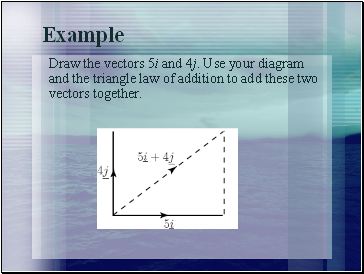 Use your diagram and the triangle law of addition to add these two vectors together. 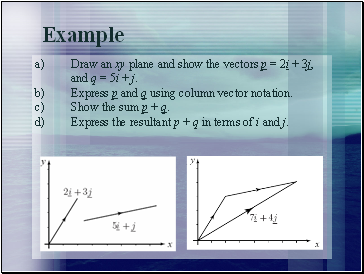 a) Draw an xy plane and show the vectors p = 2i + 3j, and q = 5i + j.
b) Express p and q using column vector notation. 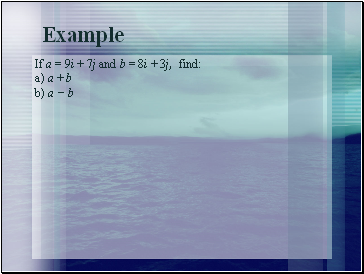 c) Show the sum p + q.
d) Express the resultant p + q in terms of i and j.